Western Importers is a family owned and operated Denver, CO based company. It was born from the desire to bring the family's highly acclaimed Italian wines to Colorado. WDTC is a for-hire truck-load carrier operating in the 48 state region. Our refrigerated division is comprised of 145+ trucks pulling refrigerated and dry freight local and longhaul across 48 states. WDTC has prided itself by supplying its customers with the best service and on-time deliveries, since it’s inception in 1977. Drivers, talented staff, and the best of equipment are the key to this divisions performance. Multi-stop, multi-pickups are no problem for this division. Click here to see WDTC featured on the hit show American Trucker on The Speed Channel! Click here learn some more about our company. Specializing in hauling secure full truckload and LTL by armed guards coast to coast in under 48 hours, most runs are under 24hours. Towing and Recovery done at it finest with the most skilled, talented drivers and equipment in the industry at REASONABLE PRICES! From initial design and conception of all your signage needs, to actual printing, finishing, and installation. Click here to see what Fineline can do for you! Full service corporate video production company. Click here to see the services offered at Black Diamond! Full service truck and auto maintenance. A world leader in manufacturing billet aluminum and billet titanium connecting rods. Click here to see a short video about our company! Our business is racing, and racing is our business. Winberg manufactures crankshafts for the most elite racing teams in the world. Click here to see Winberg's promotional video! 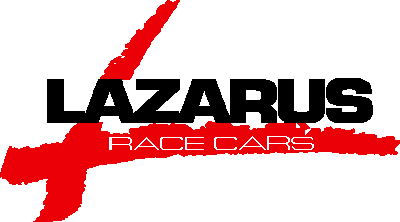 Carz opened in 2004 and provides aftermarket parts, AWD chassis Dyno service, and excellent customer service to help you unlock your vehicles peak performance. Old fashioned service for modern times.